Well in case you were wondering, we have apples this year! I knew that we were going to have quite a few by how many blossoms were on the trees early on this spring, but normally the blossoms blow off and you are only left with the amount of blossoms soon to be apples on what the tree can handle. 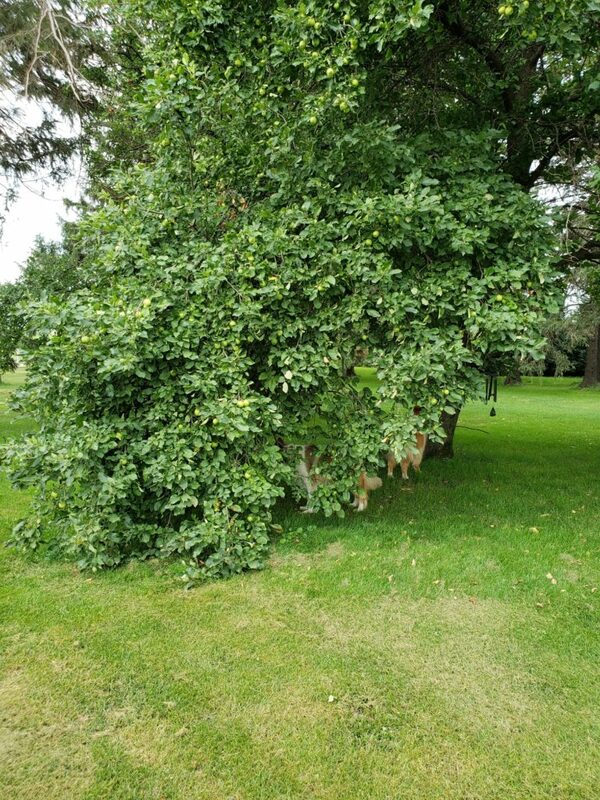 We have so many apples that some of the branches are literally laying on the ground. It’s unbelievable! These trees were planted 34 years ago and they never produced this many! 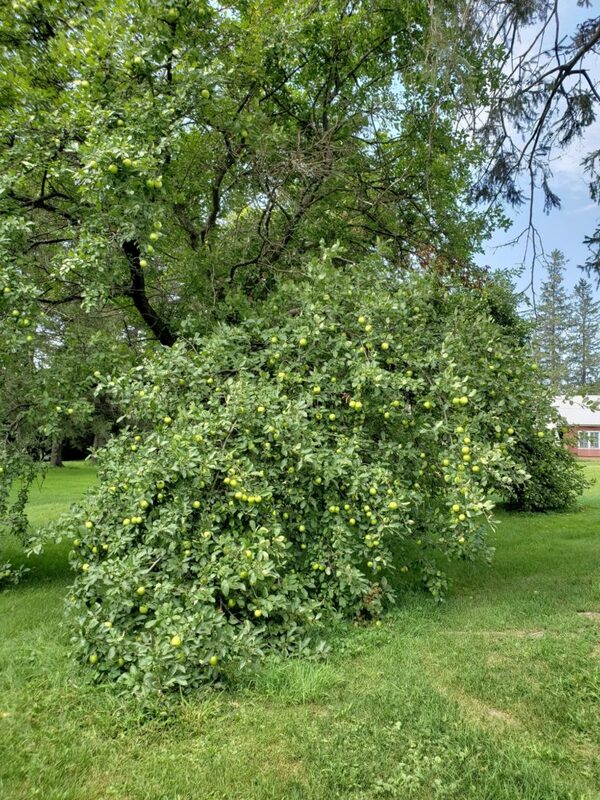 Now I don’t know if it’s because last year that we’ve lost some of the trees in our yard and it made more sunshine, or if the trees that fell down that literally landed on the apple trees knocked some sense into them – but whatever the case, we’ve got apples. 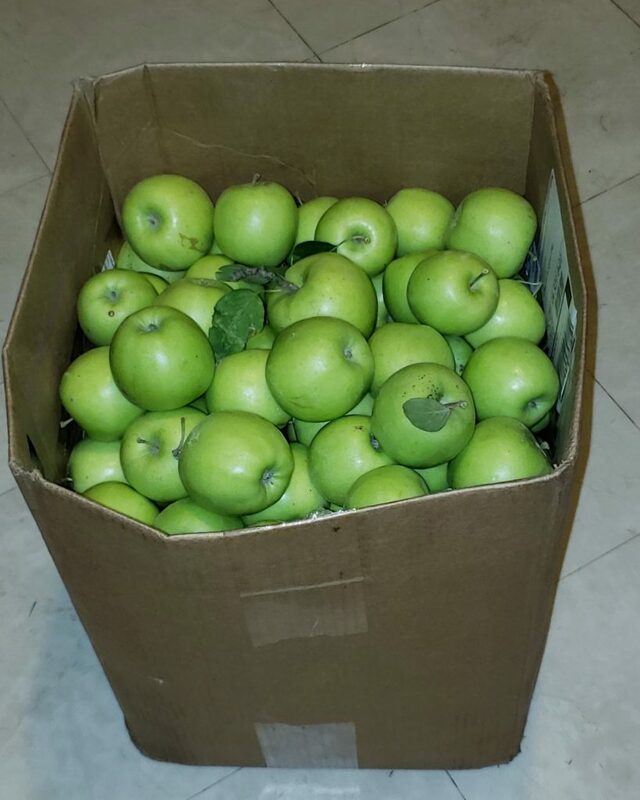 So we’ve picked quite a few and have given most of them away But the one red delicious tree seemed to drop a lot of the apples before we could get them all picked. 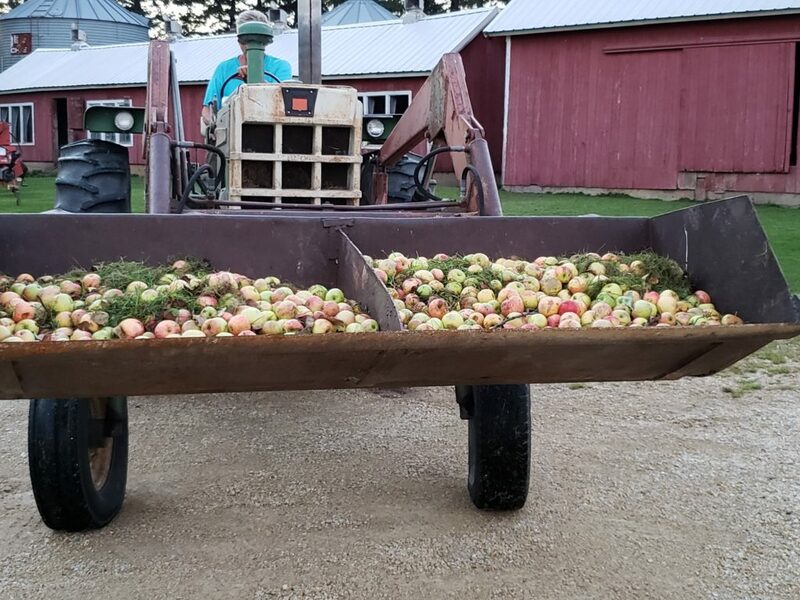 So with the apples on the ground we’ve gotten 2 bucket loads picked up already and are expecting a couple more buckets of the wind fall apples before all this is over. But it’s better than not having any apples right? And our only problem now if to figure out just how to get the ones on the top. We’ve used the tractor and bucket and it only goes so high and I can only reach so far! 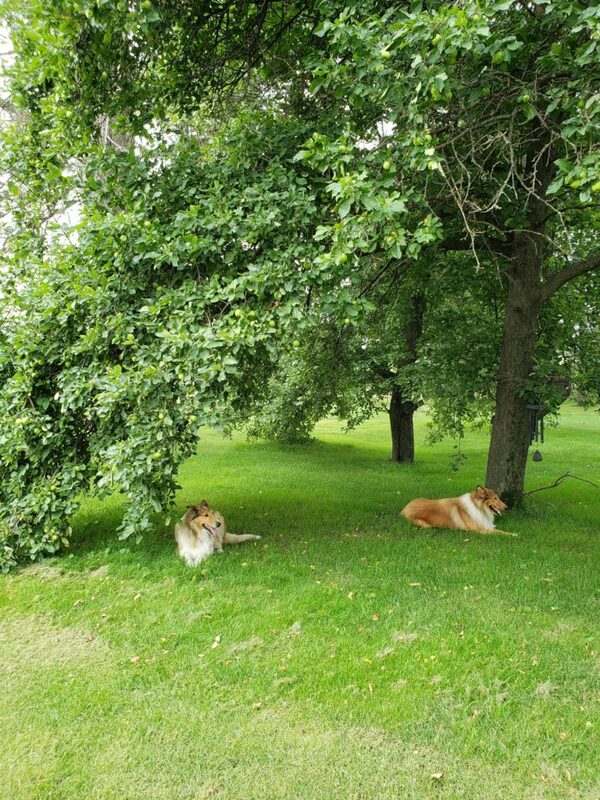 And no ones is liking our apples trees more this year than our dogs on the hot summer days! They think it’s their own little private oasis. The only thing is that they don’t like to get hit in the head very much when the apples are falling! But so far, they’ve been taking the risk.